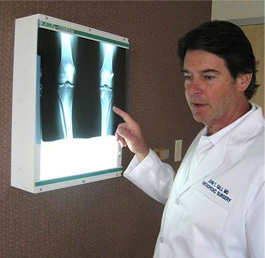 Specializing in Sports Medicine, Dr. Gill is currently an orthopaedic surgeon in private practice in Dallas, Texas. After earning his medical degree from the University of Texas Southwestern Medical School, Dr. Gill served his internship and residency at Parkland Memorial Hospital and Southwestern Medical School in Dallas. He then completed a fellowship in sports medicine and surgery of the knee at the Baylor College of Medicine in Houston. He founded Dallas Sports Medicine Specialists in 1988, where he has served thousands of patients during his medical career. Dr. Gill has been voted one of D Magazine's Top Doctors in 2013, 2014, 2015 and 2016. In addition, Becker's Orthopedic and Spine Review recently recognized Dr. Gill among 25 of the Best Knee Surgeons in the United States. 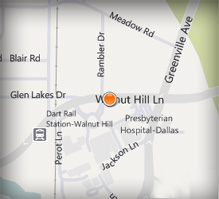 Dr. Gill has been a sports team doctor with the Dallas Independent School District for 20 years. During football season, he can usually be found covering a football game from the sidelines on Friday night or manning a sports injury clinic on Saturday morning. Recognized as a leader in orthopaedics by his peers, Dr. Gill is a past President of the Texas Orthopaedic Association and the former Chairman of the Board of Councilors of the American Academy of Orthopaedic Surgeons.